Hooray! The 2017-2018 Annual Catalogue has gone live! It is jam-packed with amazing products and creative ideas. I’ve been so inspired each time I have flicked through the catalogue. I know you will be too. There really is something for everyone – from the beginner to the more advanced crafter. The online store has been updated to show all the latest and greatest, as well as a few much loved returning items. You can also download a PDF version of the catalogue here. (It can also be found on the Resources page). If you are anything like me, there will be a few…okay, a lot, of things on your wish list. 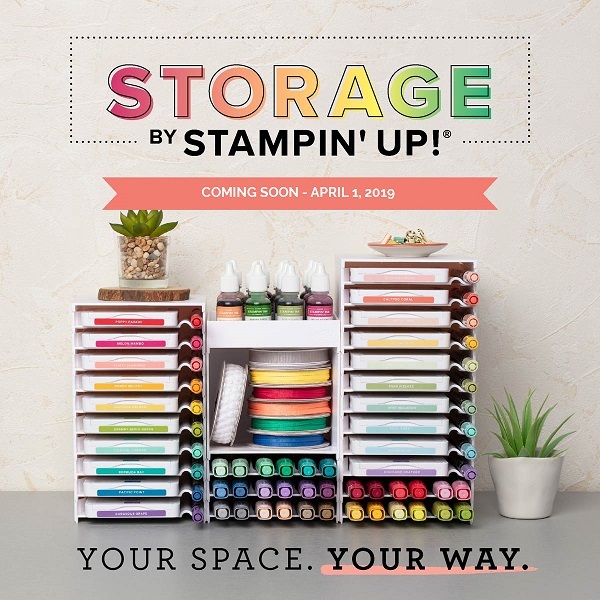 To help you keep track of what you might like, Stampin’ Up! has created a cute Shopping List. I’ve uploaded it into the Resources section of my site so you can download a copy whenever you need one. There is also a special promotion for the month of June for our customers. Take a look at the following table to see the extra benefits which are on offer. I’m heading off to browse through the catalogue…again…and refine my wish list a little more and then it is time to create! I’d love to hear which items in the new catalogue inspire you the most. If you are interested in me showcasing any particular products, please let me know and I will do my best to do so. Hi Everyone, If you are like me, you *try* to keep your supplies as organised as possible. It isn’t always easy, though, is it? In an attempt to keep track of the ink pads I have purchased (and make it really clear as to which ink pads I still need to get), I created a colour chart. It is a two-page pdf which I printed up on whisper white cardstock. Taking a small solid stamp, I stamped out each of the ink colours I currently own. As well as providing me with a catalogue of my inkpads it also gives me a pretty visual reference. If I am unsure of which colour I might need for a particular project I can grab my colour swatch and see all the ink colours at a glance. I have uploaded a copy of this colour chart in the Resources section of my site. Please feel free to download it and use it for your own reference. And finally, just a quick reminder that Sale-A-Bration is coming to an end on 31 March, 2017. 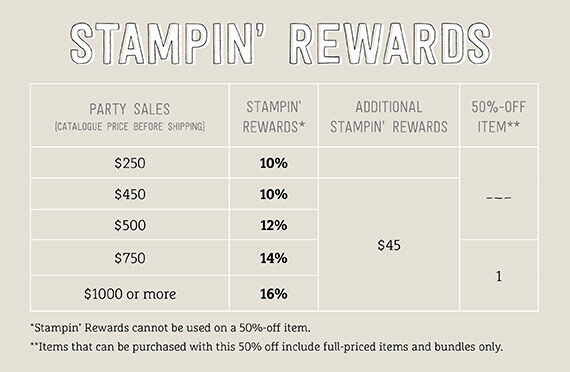 If you have been thinking of joining the Stampin’ Up team, now is the time! 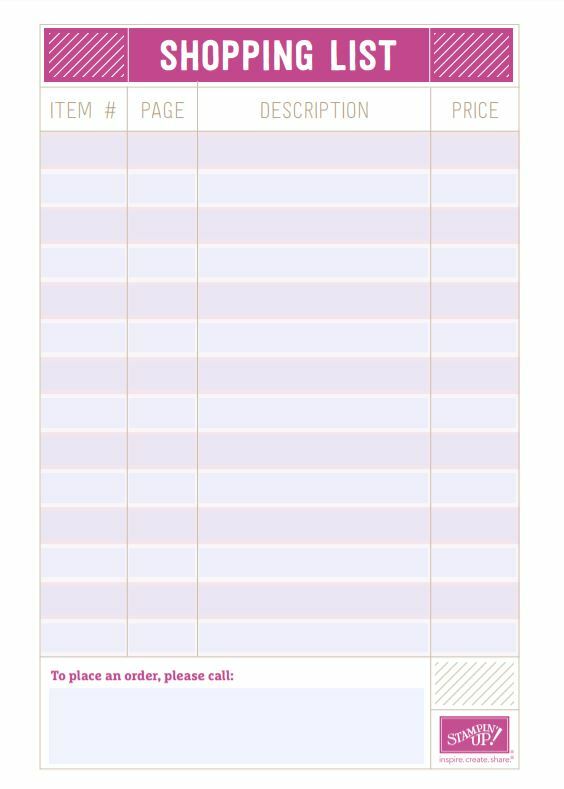 And don’t forget that every purchase over A$90 entitles you to a free item from the Sale-A-Bration catalogue. So many lovely things in that catalogue too. Please check out this page for more information, or email me if you would like to join my team.